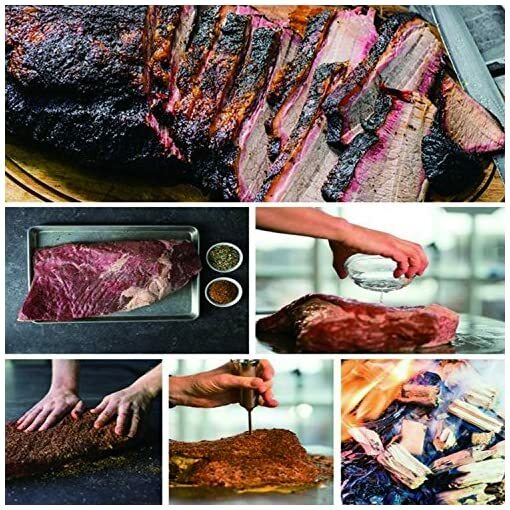 Do you want to cook a delicious beef, turkey, chicken, brisket, pork or BBQ? 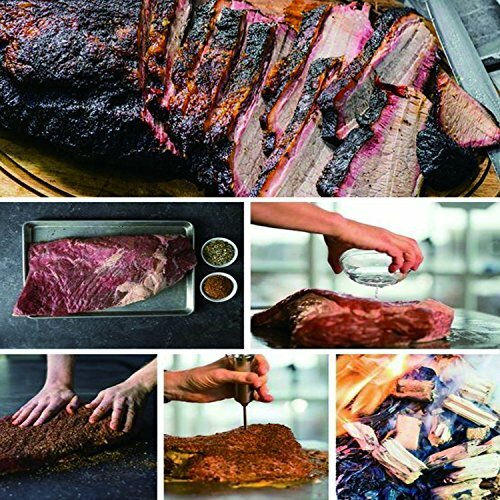 Produce Succulent, Tender Meats Bursting with Flavor in Ticks of Time. 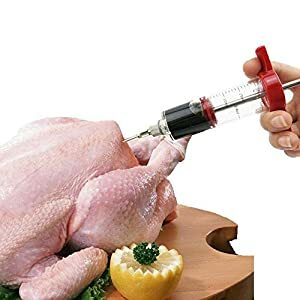 Our marinade meat injector is flawless and perfect for intensifying the flavor of chicken, brisket, pork, turkey, goose, lamb, duck, and even more! ① Save your time. You don’t have to wait for many hours before the marinade occupies the entire meat. 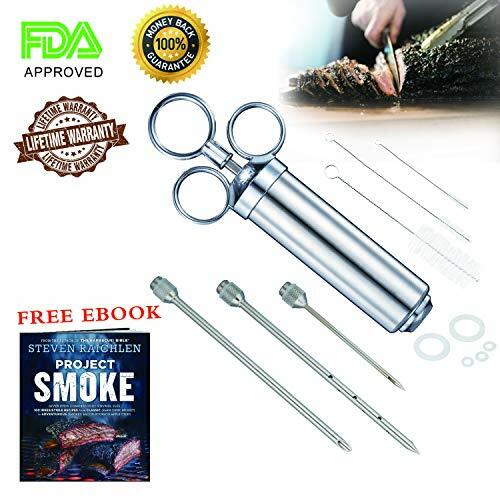 ②It makes smoked food more delicious. It will give your meat more flavor and it will help to keep it moist during. ③More small food ingredients are syringed into your meat. 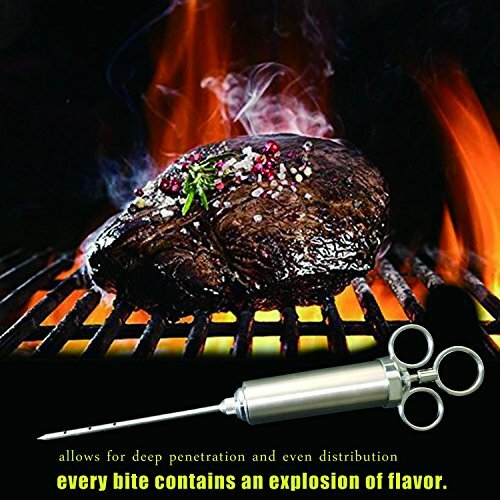 Meat injectors allow tiny spices to be packed and delivered in the interiors of your meat. 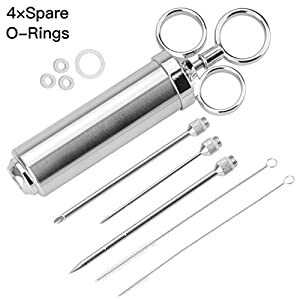 It comes with various opening that enables small food ingredients to be included in the delivery. 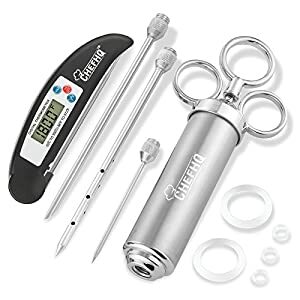 ☛A GREAT SMOKED FOOD GADGET: Meat injector is great for smoked food, beef, pork and even larger parts like 200 lb whole hog. 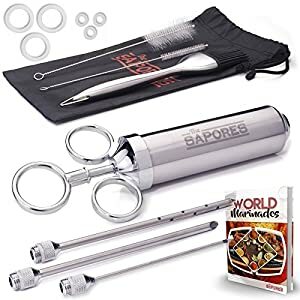 It will give your meat more flavor and it will help to keep it moist during – and after – the cooking process.. 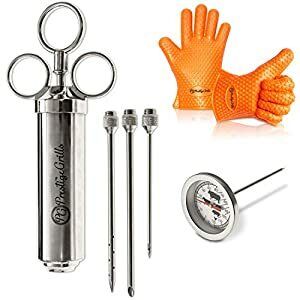 It is the best tool to make a delicious food for the one you love. 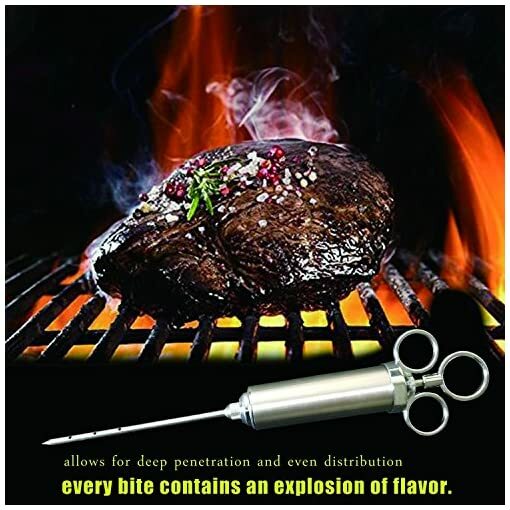 ☛INCREDIBLY STURDY AND DURABLE: High-quality, Anti-Rust and culinary stainless steel built in our BBQ injector, guarantees many years. 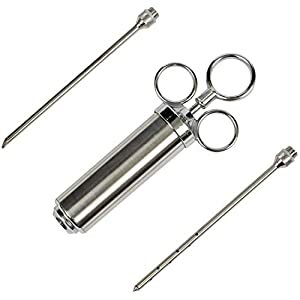 It is packed with 2 OZ capacity syringe, extra-long and very sharp needles to enhance easy injecting of your favorite solutions deep into tissues. 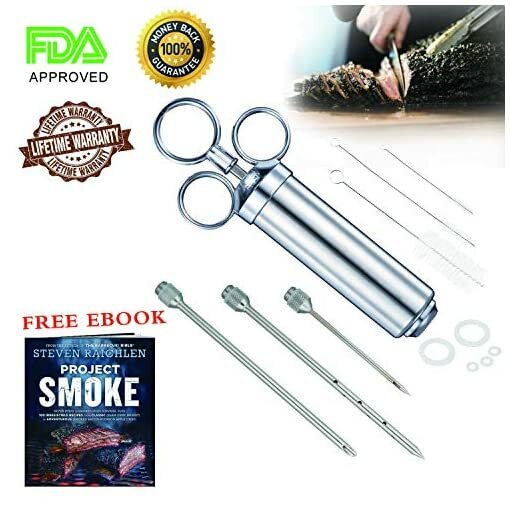 ☛ONE HANDED EASY OPERATION: We just need a Slow press down on the plunger to inject the marinade. 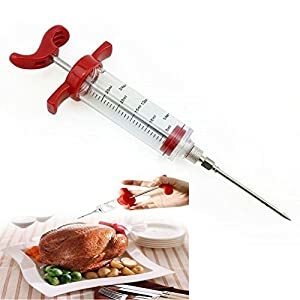 Those extra needles really help get to all the nooks and crannies of the meat. 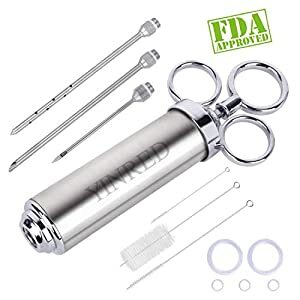 The marinade meat injector is perfect for all even those who don’t have much hands strength. 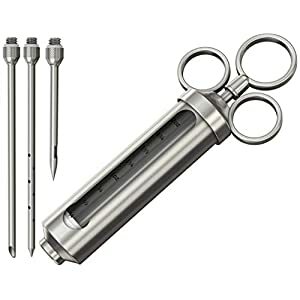 ☛CLEANING IS A BLINK: Just as cooking the delicious food is made easy, cleaning our injector syringe is equally effort-free. Simply clean it by hand under the running water. It’s so convenient and saves time. ☛YOUR SATISFACTION IS OUR #1 PRIORITY: We are relaxed to offer a LIFETIME WARRANTY, so you don’t need to worry about anything at the moment. 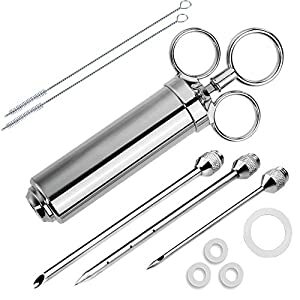 But for any reason if you are not completely satisfied with our meat injector kit, just return it for a FULL REFUND.